LOUISVILLE, KY -- When shopping for Thanksgiving meals for children in need, Sydney Gholston found herself in the right checkout lane for a holiday hero to step forward. On November 18, Gholston was shopping at a Walmart in Kentucky when the man behind her in line took an interest in her shopping. Gholston, who works as the food and nutrition director for the nonprofit agency that helps kids in crisis, had six turkeys meant for the children's Thenksgiving celebration. 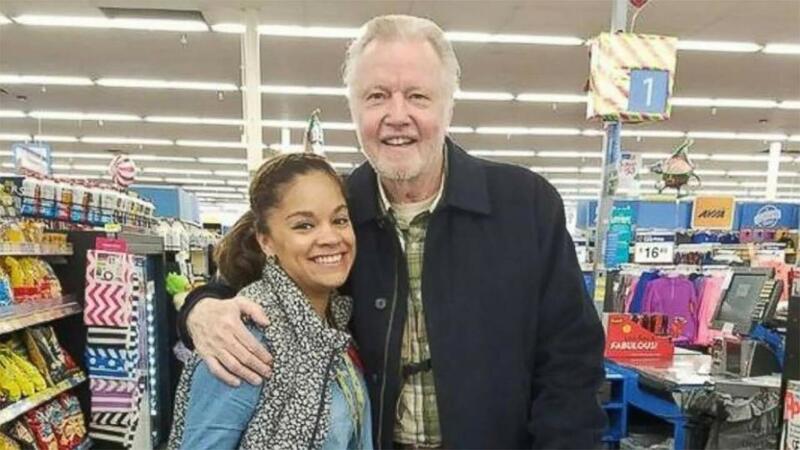 She recognized the man behind her as Academy Award-winning actor Jon Voight. The pair joked around and Voight inquired about the charitable organization. Then he offered to purchase all the turkeys, which will feed about 70 children.